This statistic shows the 19th presidential election results of South Korea that took place on the ninth of May 2017. Moon Jae-in from the Democratic Party won 41.08 percent of votes, being the president-elect, followed by Hong Jun-pyo from Liberty Korea Party with 24.03 percent. 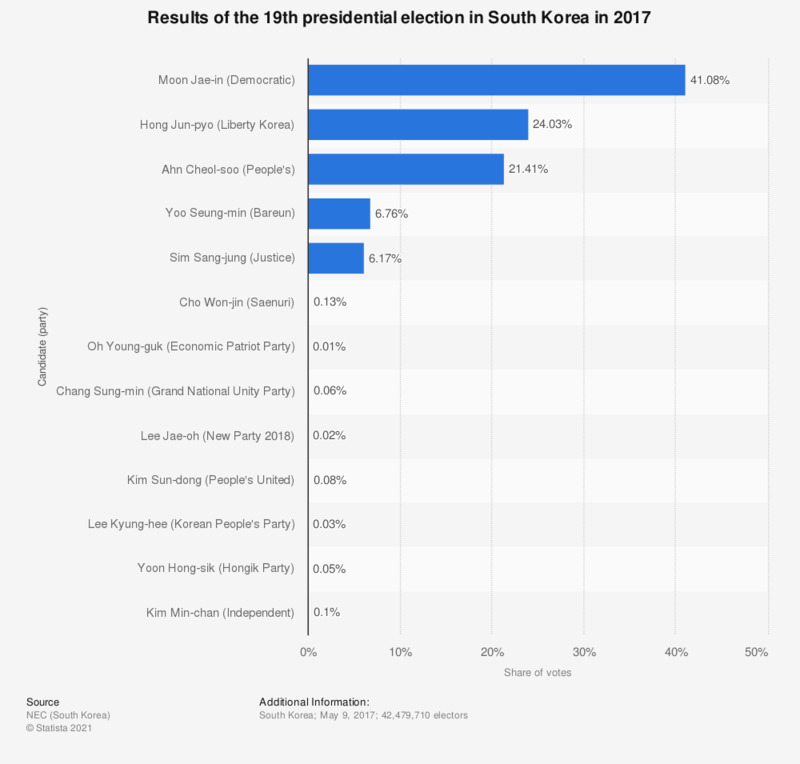 The results indicate that the president-elect Moon Jae-in won the election by the most significant margin in the history of South Korea's presidential elections. Statistics on "General election 2015 in the United Kingdom (UK)"
Are you satisfied with your vote in the U.S. presidential election 2016? Who did you vote for in the U.S. presidential election 2016? Are you satisfied with your vote in the U.S. presidential election?